Here’s why Wild Weasel missions were among the most dangerous sorties flown in Southeast Asia. 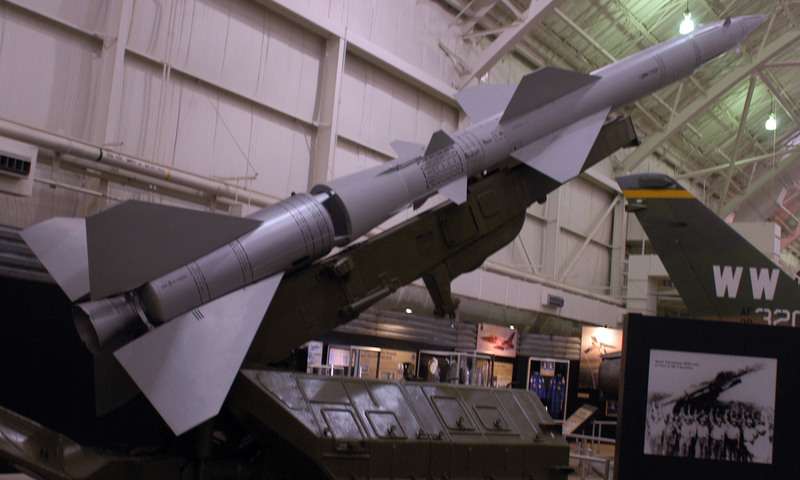 During the Vietnam War the main threat to the strike packages was the V-750 (S-75) Dvina, the first effective Soviet surface-to-air missile (SAM). Better known by the NATO designation SA-2 Guideline, the missile was developed in the mid 1950s and it was used to shoot down Gary Powers’ U-2 over the USSR in 1960 and Maj. Rudolph Anderson’s U-2 over Cuba in 1962. North Vietnam began receiving SA-2s shortly after the start of Operation Rolling Thunder and on Jul. 24, 1965, a Guideline shot down a USAF F-4C, the first of 110 USAF aircraft lost to SAMs in Southeast Asia. After its appearance, the SA-2 threatened to halt air operations over North Vietnam: in fact while flying low to avoid SAMs, fighter-bombers were more vulnerable to deadly anti-aircraft artillery (AAA) fire which forced them to jettison their bombs early or drop them inaccurately. Moreover, the SA-2 sites were ringed with AAA, that made them even more dangerous to attack as proved by the U.S. aircraft losses suffered in the first strike against two SAM batteries conducted on Jul. 27, 1965, when 6 out of 46 F-105s involved in the mission, were shot down and many more damaged by AAA. To suppress and destroy this threat, the U.S. Air Force countered with the courage and skill of the Wild Weasels, who not only flew some of the most dangerous missions in Southeast Asia but also became pioneers in Suppression of Enemy Air Defenses (SEAD) operations. As we have already explained, the first Wild Weasel sorties were flown in the fall of 1965 and were planned around the “hunter-killer” concept by using two aircraft: one had to locate the enemy SAM batteries while the other had to physically destroy them. The first, tasked to hunt the SAM airplane, was the F-100F while the killer aircraft was the F-105. In January 1966 the two seat F-105F was chosen to replace the F-100F to improve the performance of both members of the team. The Republic F-105 was designed to replace the company’s F-84F as a fighter-bomber for Tactical Air Command (TAC) and thanks to its avionics the Thunderchief possessed a high degree of all-weather capability. To serve as Wild Weasel, the “Thud” (as the F-105 was nicknamed by its aircrews) was fitted with the ATI (Applied Technologies Inc.) equipment that mainly relied on the RHAW (Radar Homing And Warning) device to monitor different radar frequencies. These aircraft were unofficially called EF-105Fs and officially designated F-105F WW-IIIs (with WW-III meaning Project Wild Weasel III). 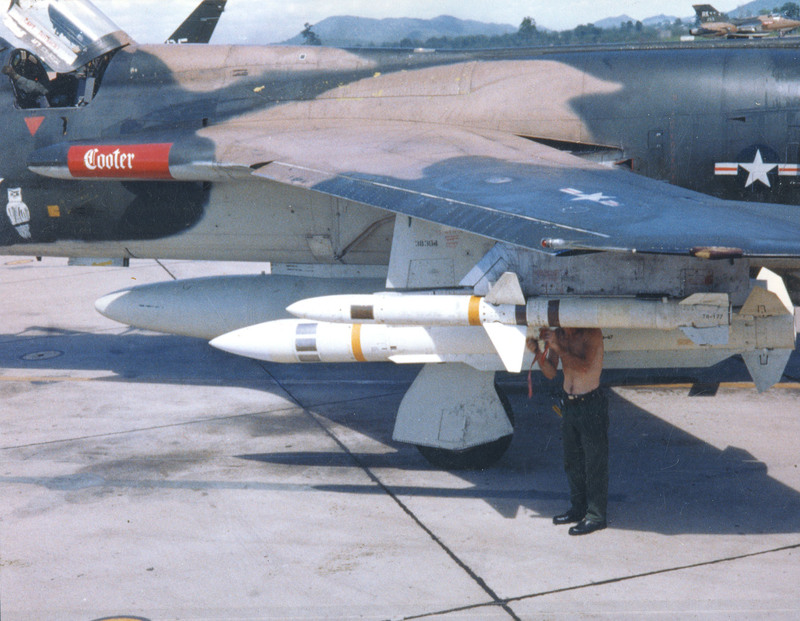 To avoid the overflight of the target by the F-105F, the U.S. Air Force armed this variant of the Thunderchief with the anti-radiation AGM-45 Shrike missile: in fact, being a sort of stand-off weapon, the Shrike could be launched up to 10 miles from the target and, thanks to its high-speed, it had a flight time of less than sixty seconds. Despite all these features, as told by Ted Spitzmiller in his book Century Series The USAF Quest for air supremacy 1950-1960, the Shrike had a kill rate of only 25 percent because of its small fragmentation warhead and a strike over the target was often required to destroy the rest of the complex after the AGM-45 attack had only damaged it. The F-105F flew the first Iron Hand missions in the middle of the 1966. These missions were the most hazardous of the war because the Wild Weasels had to arrive in the target area before the strike force and stay until all strike aircraft had struck their target (hence their motto “First In, Last Out”) thus being exposed to enemy fire (MiGs, AAA and SAMs) longer than any others. The strike force was in and out as fast as possible while the Weasels had to hang around for extended periods of time. This impression is dramatically confirmed by the F-105F WW-III losses in the first month of missions: in fact, by July 1966, eleven Thuds were active on Vietnam, but within a month five were lost due to hostile action. This loss rate ensured that no pilot could complete a tour as Wild Weasel, made by 100 missions. To reduce the losses, several improvements were introduced, such as the AGM-78 Standard missile with a 220 pounds warhead that could be fired against the target from a distance of 60 miles. But the most important feature was the introduction of the ALQ-101 ECM pod to reduce the effectiveness of the radar-directed defenses: with this pod permanently mounted, the F-105F was designated F-105G. 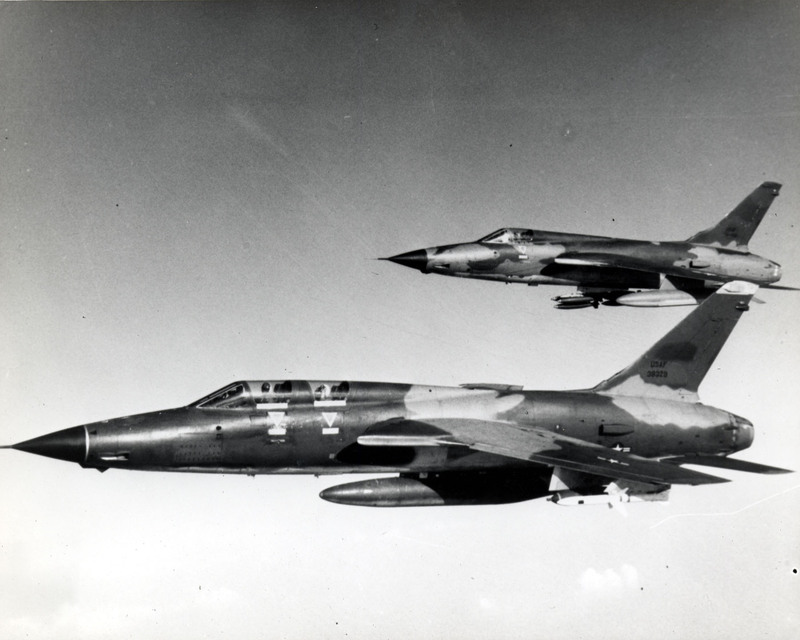 Still, despite all these improvements, the Wild Weasel missions remained a risky business for the F-105 aircrews and some of them were awarded with the Medal of Honor because of the courage they showed in combat.